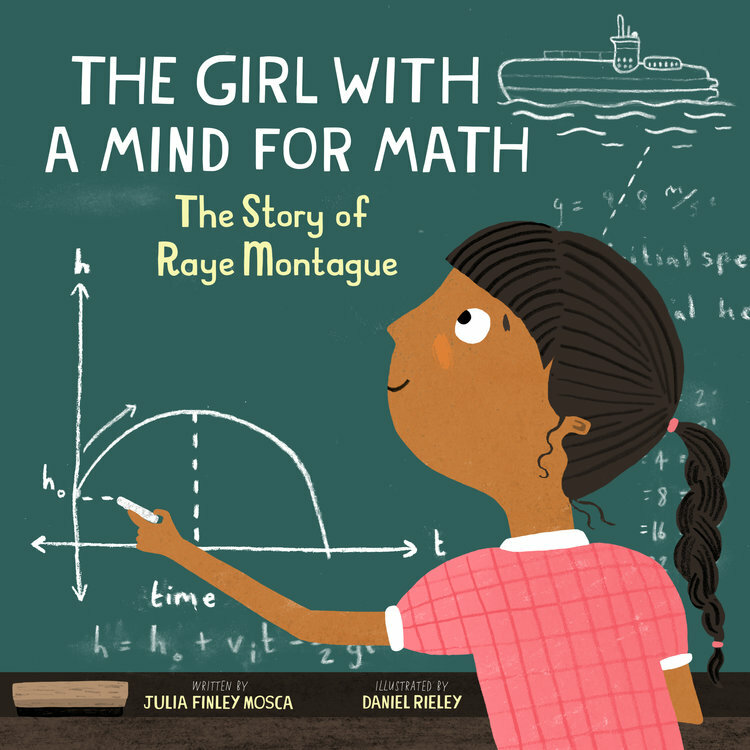 THE GIRL WITH A MIND FOR MATH: THE STORY OF RAYE MONTAGUE (The Innovation Press / on sale September 4, 2018 / Ages 5-10). This is the third book in the Amazing Scientists series. The books have been extremely well received, and help shed a spotlight on diverse women who have often been glossed over by the history books. 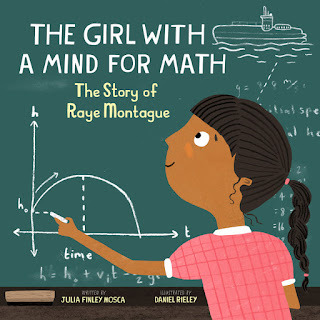 THE GIRL WITH A MIND FOR MATH introduces Raye Montague, a hidden mastermind who made a huge impact in the US Navy. After touring a German submarine in the early 1940s, young Raye set her sights on becoming an engineer. Little did she know sexism and racial inequality would challenge that dream every step of the way, even keeping her greatest career accomplishment a secret for decades. 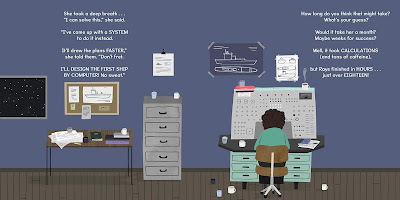 Through it all, the gifted mathematician persisted―finally gaining her well-deserved title in history: a pioneer who changed the course of ship design forever. The Amazing Scientist series is so important in showing, through the stories of real women who overcame countless obstacles to excel in their fields, that a career in a STEM field is not only a possibility, but can truly become a reality for young girls. With the story told in rhythmic form, The Girl With A Mind For Math is a hardcover book that spotlights an important woman in history that most people aren't familiar with. I'd never heard of Raye Montague myself until reading this book with my granddaughter. 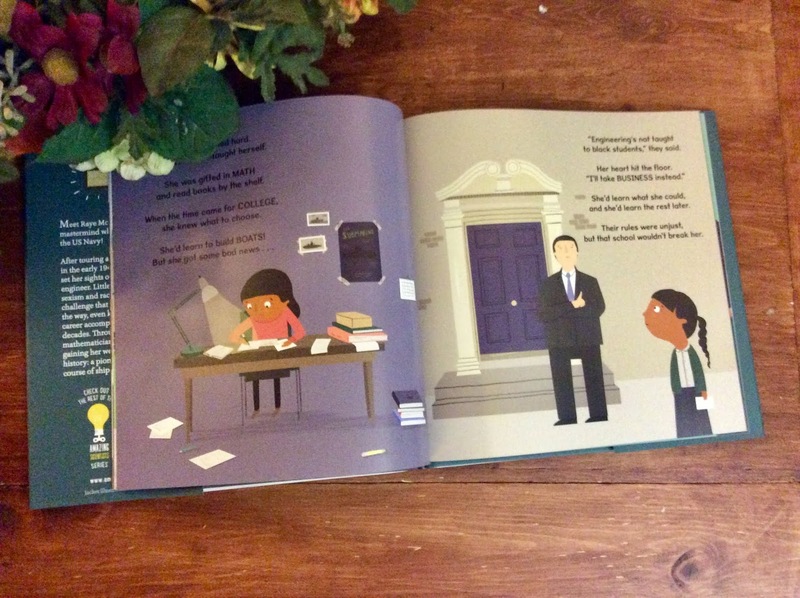 The Girl With A Mind For Math introduces young readers to Raye. She was a very smart girl with lots of potential. 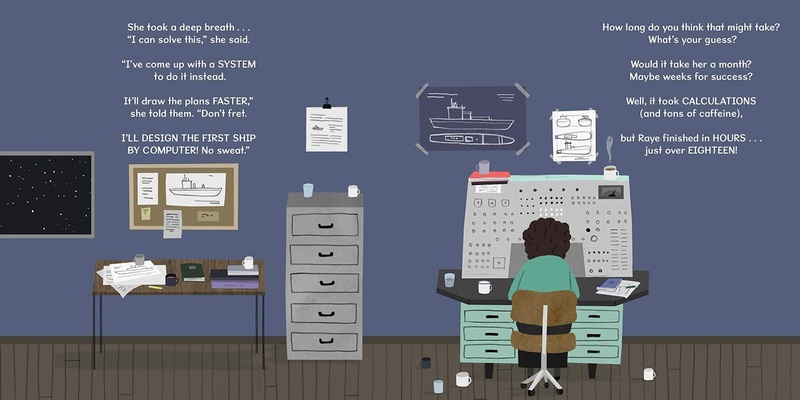 Upon seeing a submarine for the first time, Raye was determined to become an engineer. She was insulted and laughed at for her dream, but Raye's family held her confidence high. Raye went to school during the time that the institutions were segregated and she wasn't able to study engineering. She didn't let that deter her dream, and she continued to pursue it through all the negativity. After several years and lots of hard work, Raye was finally recognized as an engineer and her dreams were accomplished. I love Raye's determination and perseverance that shows throughout this book. She doesn't give up, and she works towards her dreams. Her motivation is inspiring. There's a short note from the actual Raye Montague about achieving your dreams. There's also pages with facts and tidbits from Raye herself. She talks about her feelings, opinions on racism, and anchoring a spot in history. One person will win a hardcover book copy of The Girl With A Mind For Math. I received book for review from The Innovation Press. The opinions within this post are of my own and I was not influenced in any way. Please do your own research before purchasing products or using services. Your opinions and results may differ. Right now they want to be a ballerina or actress. My son wants to be a fireman. My son wants to be a policeman. I would like her to be a teacher. Well, this week our 8yr old wants to be a teacher. As a child I wanted to fly and I did become a pilot. I wanted to be a cartoonist. My son wants to be a YouTuber. My daughter wants to be a lawyer. When I was in kindergarten, I wrote down that I want to be a teenager when I grew up lol! My son is too young to know what he wants to be, but based on interests, I would say either a pilot, train conductor, or paleontologist! My daughter, who is 3, is already determined to be a doctor by her own decision. Math is going to be huge for her. My daughter wants to be a fashion designer and my oldest son wants to be a scientist. Right now she wants to be a cheerleader, but we're hoping she will switch to an engineer or something scientific. I am a big fan of girls/women in stem/science programs. They are doing so much to encourage young girls to dream and get into the field. These books are so great, my great niece is a little young yet. my son wants to be in the NBA he loves basketball. My son wants to be millionaire! My daughter says she wants to be a teacher and my son says he wants to be a cop or a fire fighter. My granddaughter wants to be a veterinarian. When I was young I wanted to be a flight attendant. My niece wants to be a teacher. My daughter wants to be a professional chef. I wanted to be like my mom! I wanted to be an archaeologist when I grew up to dig through the ruins but ended up as a lawyer just digging through law books. He says he wants to be a police officer and a chef. He's about to turn five so those are good goals!